ORIGINS Family Research is a friendly professional genealogy and family history research service catering to people interested in discovering their UK ancestors and wider family. It is run by my wife, and I act as an additional researcher when required. The website was developed by myself with all images from my own collections edited and restored by myself. Due to current workloads we are not taking on any further commissions at present. The website development was customised to include a number of bespoke features written in PHP and additional CSS. 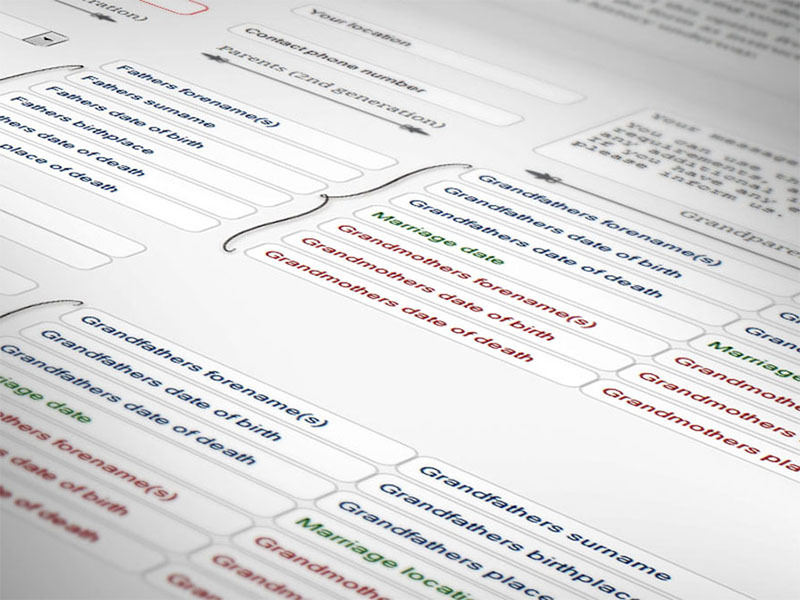 I developed an evaluation system which would take the clients basic details and construct a GEDCOM file used in genealogy software. The resulting file was then emailed to us as part of the form submission. 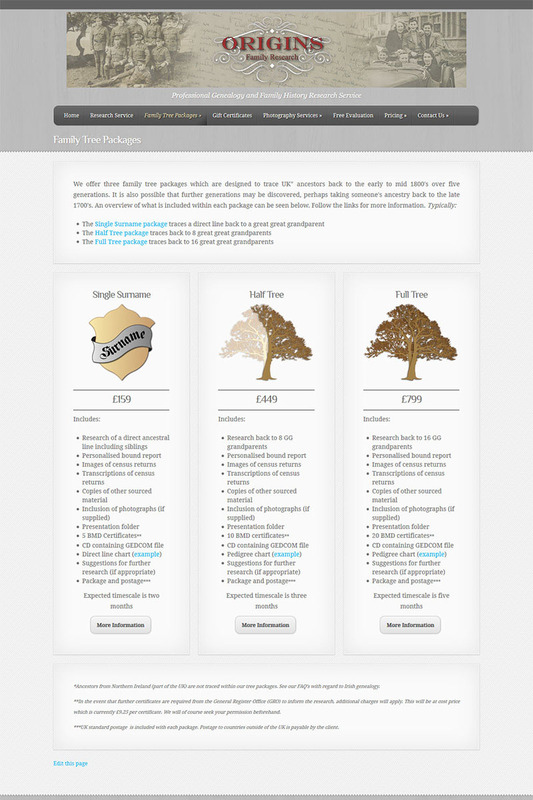 This had the advantage of saving valuable time in setting up the clients family tree database. The file structure automatically created and input the initial data, likely sources structure and family member place-holders ready for us to work on further. Another feature was the automatic generation of gift certificates complete with an encoded serial number which would allow us to trace-back the client and verify the certificates validity, when it had been paid for and by whom. The site also had a members section for the client to see the progress of their research work. It also had an online system for completing a variety of forms, such as permission slips, to enable the continuation of the research on their behalf. The site was also linked through to PayPal to enable clients the opportunity to settle their accounts online.